There are a few things that happen in the moments after a wreck. First, we make sure everyone is okay. Then we call 911. And, as we stand waiting to find out the extent of the damage to ourselves, our vehicles, and our lives, we wonder-what if all this was my fault? Now imagine that instead of one passenger in your vehicle, you had sixty. Each day, a single bus driver will be responsible for thirty to a hundred lives. Each one of those people has even more people who care about—and sometimes depend on—their health and safety. The devastation after a Dallas charter bus accident can expand drastically depending on the number of passengers and severity of the collision. 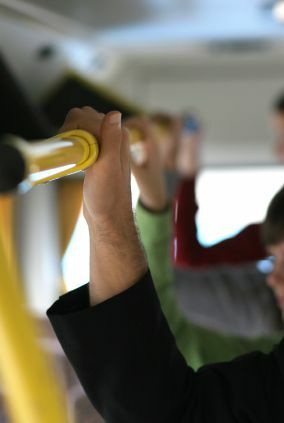 Just like airline pilots, Texas bus drivers are held to a higher standard due to the number of passengers they carry. So when emergency crews respond to a bus wreck in the Dallas and Fort Worth metro area, much of their investigation focuses on the driver. What caused the crash? What was the driver's response? Carrying children to and from school is an enormous responsibility—and a crash carries consequences we don't like to think about. Texas is a vast and beautiful state, and a wonderful venue for sightseeing. Although passengers are encouraged to look around, the driver's eyes must stay focused on the road. Celebrations, graduations, and engagement parties—all mean fun and a vacation from responsibility. But even when you hire a driver in order to party responsibly, your life is in someone else's hands. Mexico is right across the border, making it easy to get away from it all in another country in just a few miles' drive. What you might not know is that many international bus companies are not federally regulated. Travel companies offering cheap bus tours to Mexico could be sacrificing safety to cut costs. When renting a party bus in Dallas or Fort Worth, always be aware of the dangers around you. If you are injured in a bus accident you will have many questions. Who was at fault? Are my injuries covered in out-of-state travel? Where can I find more information-and who can I turn to for help? David Hart is the Texas bus accident attorney who can answer your questions. He is a Board Certified Texas Personal Injury Trial Attorney who has seen the devastation that bus wreck can cause. The number of lives affected by a crash puts a tour bus company at a considerable liability. Sometimes companies will cut corners on safety by hiring a disreputable driver, or put an aging and unsafe vehicle on the road. If you have suffered as a result of a bus company's disreputable business practices, you have a right to pursue compensation. We're located in Colleyville and serve the entire Dallas region. Contact The Hart Law Firm today at 1(800) 856-2347 for a free consultation with one of our personal injury lawyers.